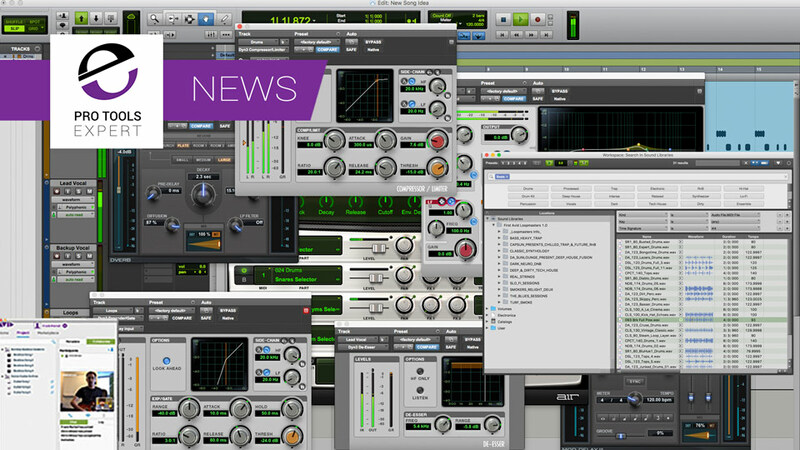 Pro Tools | What Is In Pro Tools 12.8 For Non HD Users? Most of the new features in Pro Tools 12.8 relate to Dolby Atmos and post workflows which are only for Pro Tools HD users but there are some new features for Pro Tools Vanilla owners. Along with Pro Tools First and Pro Tools users, Pro Tools HD users can now work with up to 10 collaborators in the cloud on a single project. You can also choose to save projects locally or in the cloud using Selective Project Sync, which Avid has designed to give you easy access to all of your cloud-based work from any Pro Tools-equipped computer—from anywhere you can log into your account. And if you need more storage, you can now expand your cloud space for as little as $4.99 a month for 10 GB. The MIDI Event List, MIDI Editor, Score Editor, and Workspace/Soundbase windows let you independently set them to remain in the foreground even when clicking on and focusing another window (such as the Edit or Mix windows). Pro Tools now supports working from volumes mounted as UNC Paths, specifically tested for ISIS and NEXIS workspace mounted in such a way. Pro Tools now supports linking to MXF files containing an SMPTE ID.